It doesn’t get much better than building lean muscle mass while you torch calories and burn fat. 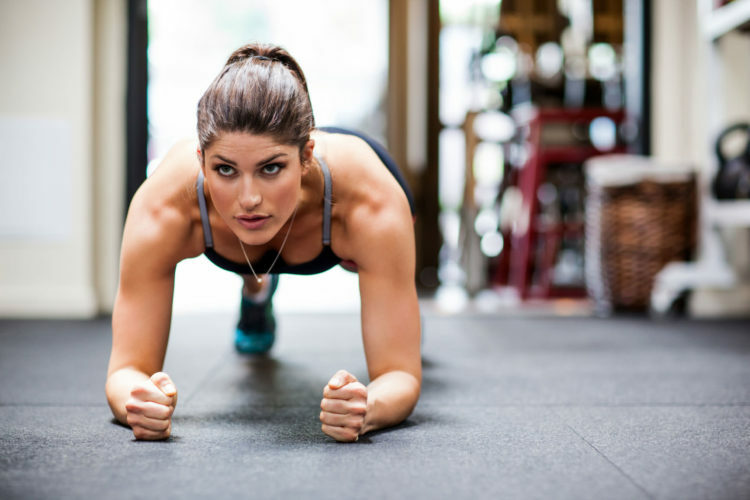 Get yourself weekend ready with this 10-20 minute Tabata workout. Alternating between high intensity drills for your 20 second sets of work and isometric holds for your 10 second “recoveries,” you’ll work without resting and push your body to fatigue. A liiiiiitle longer than a traditional Tabata, but don’t even think about complaining. If you’re really suckin’ wind between sets take no more than 30 seconds to get back at it. Quick question on the March 14 “best of both worlds” workout. It’s supposed to be a tabata but each set says “repeat 2x” next to it. Are we supposed to do each set 8 times before moving to the next or only 2 times?